From 7 – 11 October 2015, The Pan African Space Station teamed up with The Showroom and The Otolith Collective to land our pop-up studio. 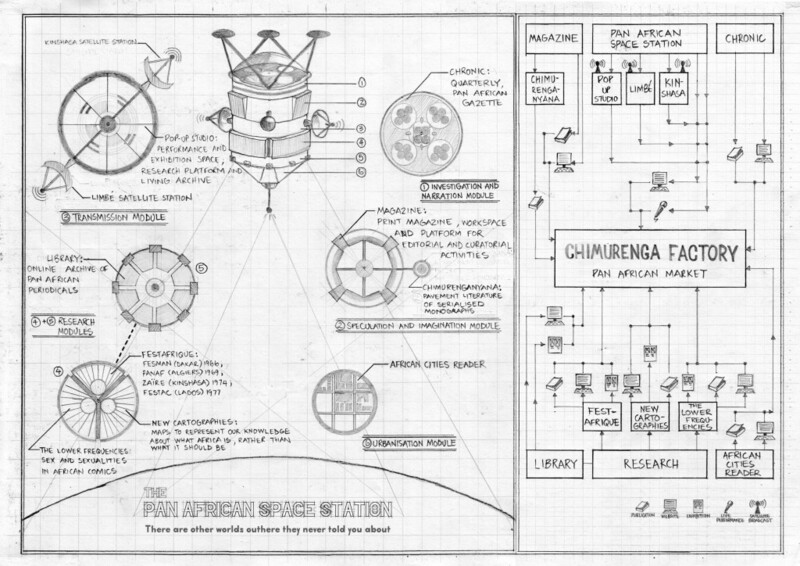 This was done as part of The Chimurenga Library. Featured contributions include Agency for Agency, The Otolith Collective, Christine Eyene, Shabaka Hutchings, Dego (2000 Black), Kinsi Abdullah (Numbi Arts), Pass Me the Microphone (Amanprit Sandhu and Hansi Momodu-Gordon), sorryyoufeeluncomfortable, John Akomfrah, Teju Adeleye, Phoebe Boswell, Paul Bradshaw, Ekow Eshun, Anthony Josephs, Michael McMillan, Christian Nyampeta, George Shire, Tom Skinner (Hello Skinny) and Matthew Temple (Matsuli Music). Category: News | Tags: PASS London | Bookmark: permalink.